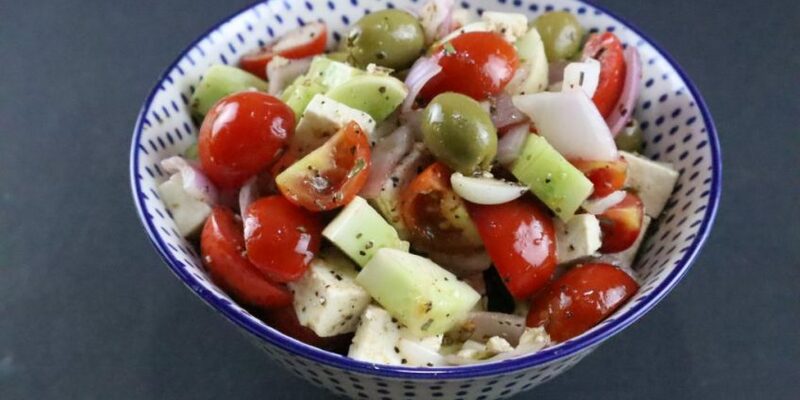 Greek salad is an awesome, breezy and tangy. It is the best choice salad to have during hot summers. The paneer is the main charm of the salad & loaded with many juicy vegetables. 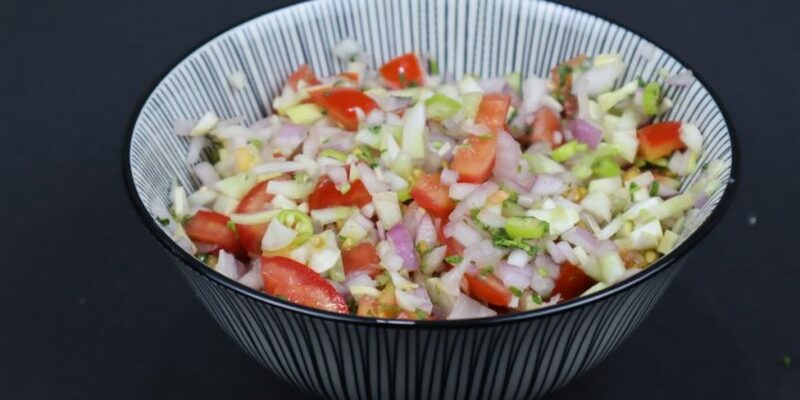 The salad is unique and will make your mouth flavoursome with some extravagant veggies like cherry tomato, cucumber & onion. 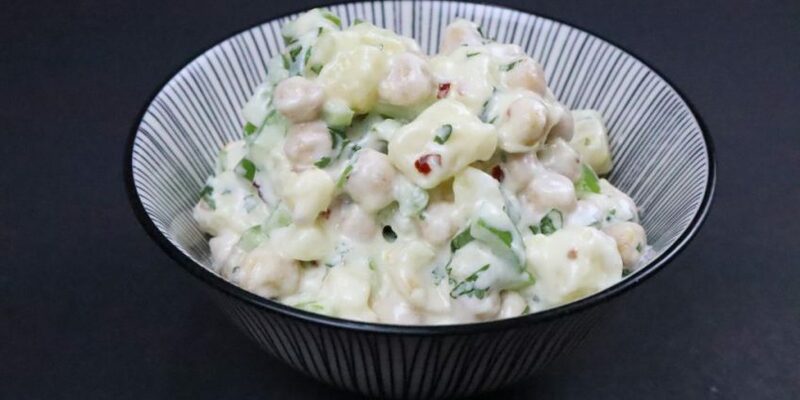 It is a classic salad recipe that goes really well with amazing dinner or date night especially when your partner is diet conscious. I remember the incident about my best friend taking his girl home and begged me to make something for their date night. He had promised his girl to make the food himself. Now that I had to really present something classic so I went in deep thoughts & then came up with a King Fish Shallow Fry recipe along with the greek salad. 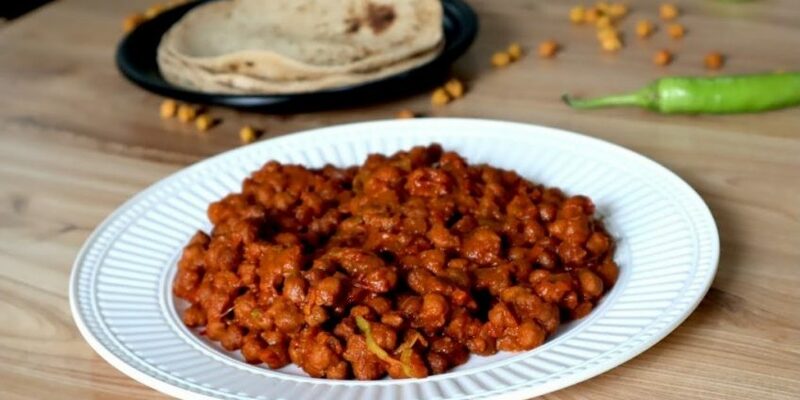 All healthy and light food can make their evening special. And yes, it did go well. Now they are happily married and I really thank myself for that. Even a third person can make a value in other people’s stories by serving really classy food. 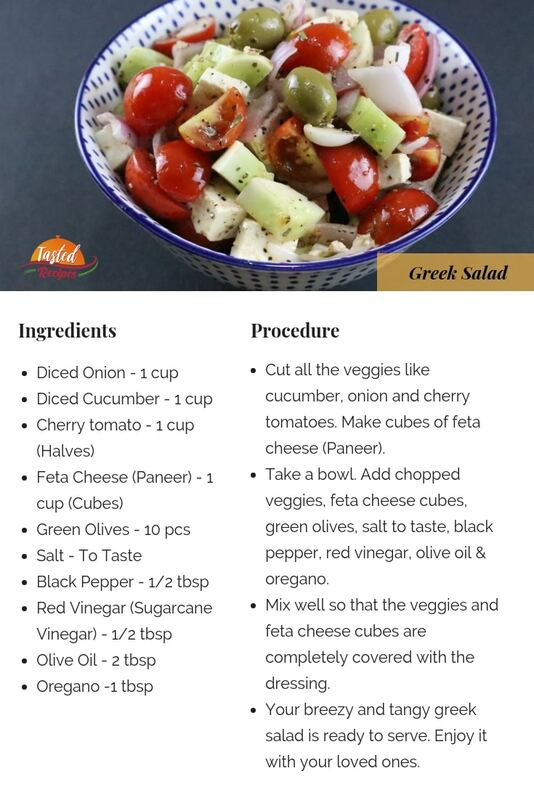 Try this amazing Greek salad recipe and share your comments below. I will keep posting you such awesomeness. Cut all the veggies like cucumber, onion and cherry tomatoes. Make cubes of feta cheese (Paneer). Take a bowl. Add chopped veggies, feta cheese cubes, green olives, salt to taste, black pepper, red vinegar, olive oil & oregano. Mix well so that the veggies and feta cheese cubes are completely covered with the dressing. Your breezy and tangy greek salad is ready to serve. Enjoy it with your loved ones.